Following his formative 1960's pop releases and series of critically acclaimed as well as thematically and aesthetically linked full length records in the 1970's; Cat Stevens released the 1973 album Foreigner to mixed response. 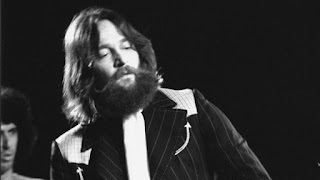 The Foreigner recording featured a full side song suite as well as some fragmented and somewhat diluted song structures that were departures from his previous releases. The record did contain stunning melodic magic but also found Stevens expressing his feelings as an artist caught in pop star trappings, as well as deeper questions regarding his own existence. These personal and internal battles played out in Stevens' music often but reached full fruition on 1974's Buddha and the Chocolate Box. After jettisoning his usual producer Paul Samwell-Smith and second guitarist and long time musical foil Alun Davies for the Foreigner album, Stevens brought them both back for the subject of today's 'rock room' rant, the 1974 album Buddha and the Chocolate Box. 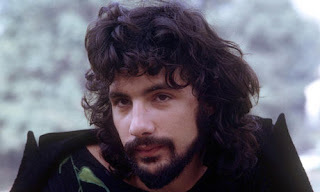 Buddha's design and content would reflect back to Steven's early successes, Tea For the Tillerman and Teaser and the Firecat in for ways than design, with more compact arrangements, plentiful acoustic guitar and a greater focus on the song as opposed to experimentation. While Stevens penchant for background singers and lush arrangements remained, sometimes to a songs detriment, the record of Buddha is a timely document of Stevens' publicly documented search for internal peace, creation of inspirational music and his tightrope walk between materialism and God (whatever that God may be). 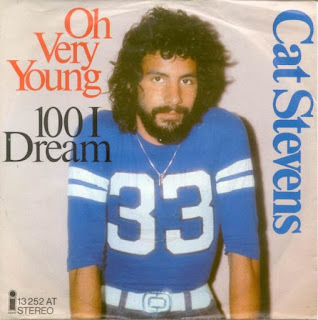 Released in March of 1974 Buddha and the Chocolate Box would contain Stevens' last Top 10 single 'Oh Very Young' and would conclude his thematically linked series of albums. The recording opens with the keyboard heavy and funky percussion of 'Music'. The song features a dramatic arrangement and lyrics that illustrate the transformational power that music can create. A strong song and probably the hardest rocking track of the record, that after a few listens starts to soak in. The whimsical sparseness of 'Oh Very Young' follows. One of Steven's most beloved songs, its content is familiar to to those who love Stevens work, as youth, hope, children and the future are often discussed and ruminated upon in his tales. The melody floats, 'riding a big white bird into heaven', supported by soft edged keyboards (a new of Cat's) and Cat's earthy acoustic guitar circling in a musical orbit. Timeless is the most apt description of this classic track, a signpost composition. In my opinion one of the most underrated songs in the Stevens' catalog; the mini song suite 'Sun/C/79' comes next similarly arranged around acoustic guitars and warm understated keyboards. 'Sun' acts as a scene setting and brotherly prelude to the big acoustic strums of 'C/79'. Diffused light crystallizes through the trees and lands on a solitary pair of men. 'C/79' peeks in on a father and son conversation, where the elder explains the how's, when's and truths behind how the young boy came into existence. Lyrically sly and musically substantial, this Cat Stevens' deep cut makes side one magic. Featuring an addictive Stevens' melody and a thumping tribal groove the definitive live version of the song can be found on the 1976 live DVD release Majicat. This studio version is the standard that was set and is a rich discovery for those who have never heard it. Quirky effects straight from the set of Star Trek act as the lead in to 'Ghost Town'. A 'country rocker', the song rolls like a wagon wheel down a rutted two track. A woody piano quotes the central melody as Stevens harmonica blows in sounding like a side street squeeze box. The song is a strange conglomerate of a narrative traveling to see the dearly departed mixed together with a how down delivery. The song concludes with what sounds like a lost prog instrumental section from 1973's Foreigner based around Stevens' rolling piano melody punctuations. Side one reaches its conclusion with the space gospel sound of 'Jesus'. Representative of Stevens aforementioned personal searching, the short track mentions both Jesus and Buddha against a extraterrestrial tapestry of sonic shifting. An odd spot for the track but similar in its effect as other short piano Stevens' compositions like 'Tea for the Tillerman' which closed the album of the same name. In hindsight the song makes sense in the Stevens' narrative. Side two begins with the lavish and glistening acoustic strumming of Alun Davies and Cat Stevens' for the opening 'Ready'. The song is an optimistic statement of being ready to receive love and is driven by the aforementioned acoustics and the sensual 'ooohing' of Steven's background singers. A nice tract but with no deeper meaning other than 'getting it on', highlighted by excitable R and B rhythm. In the 'rock room's humble opinion, the following track, 'King of Tree's', stands in a similar stature to another Stevens' compositional pillar, the 1970 masterpiece, 'Miles From Nowhere'. In what could be described as an environmental anthem, Stevens' pays homage to the spiritual and towering timber guide that has marked his days as well as his personal changes. Following an extended prelude that acts as a path leading to the subject of the song, Stevens tells his tale and that of the tree. Unpretentiously, Cat sings his love not to his woman but to the woodland representation of his existence. The song slowly builds in intensity and by songs end Stevens has no choice but to beg for the life of the tree as imposing forces come to takes its life and to lay as a result 'lay the road'. Cat's underrated piano playing lends the song a theatrical and anticipatory ambiance. Similar to its opening prelude, the song finishes on an extended instrumental outro, a sonic walk into the diminishing horizon. A powerhouse track. The next song, 'A Bad Penny' feels like a melodic overload when listened right after 'King of Trees'. Stevens' conjures up another chill inducing recitation that is beautiful in its construction. This time the opening is a regal harpsichord coupled with acoustic guitar. Steven's issues lyrical warnings that he's heard and seen it all before and is now finally reaching an awakening. The arrangement becomes more grandiose as the verses peel away, before finally falling into a typical which is to say perfect Stevens mid-song change that twists the rhythmic track and sends the song spiraling down another hole of discovery. Keeping with the thematic stage set by the previous numbers, the LP closing 'Home In the Sky' fits perfectly in its place. The song, as well as others on Buddha foreshadow Stevens' direction to come, starting with the 1975 album Numbers ( notably Jean Roussel's keyboards). But this track also acts as a closing of a chapter of Stevens' early career with its recitation of 'Music is still a lady that I need/love'. The doubt is lingering for Stevens', who next albums would start to lose the focus temporary regained on this particular album. 'Home In the Sky' chronicles Stevens gradual move toward personal enlightenment, but with the battle of leaving his music behind for faith constantly present. A chorus of Stevens sing together in the songs opening, before revealing another one of hundreds of Cat Stevens' piano melodies that must have run free from a rich never ending musical spring. Cat fares thee well with a substantial ending movement as he leaves for his home in the sky and signals the end of the recording.Yet, the journey he sings about would still take a few more years to complete entirely. 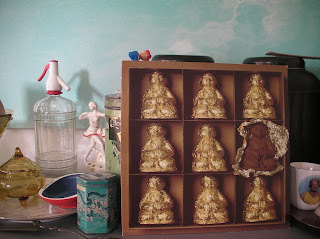 Cat Stevens 1974 record Buddha and the Chocolate Box finds Stevens' placed in the exact spot where colors mix on a creative musical canvas. He is the singer-songwriter as well as the progressive musician, he is the holy searcher as well as sinner, he is environmentalist while also wasteful, he is forward thinking while also remaining rooted in his past. He is the musical searcher finding numerous things to inspect and then consider on his journey. He is holding Buddha and a chocolate box and this record is the documentation of the choices he was faced with both personally and musically, sometimes right, sometimes wrong but always brimming with wonder and creativity. The reconciliation between all of the aforementioned factors manifested on this recording are documented as such but would take over thirty years to reach final culmination.